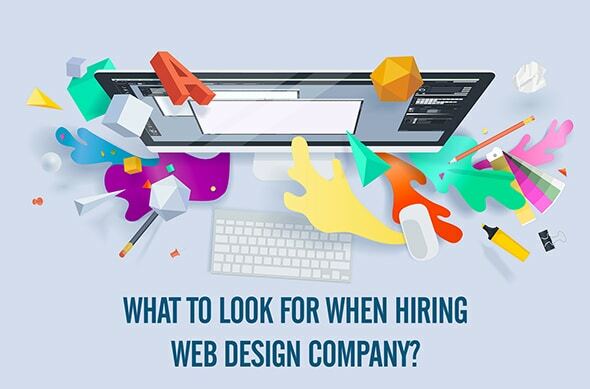 Almost anyone can start a web design company, for better or for worse. As a client, we know you don’t want to be set up with someone inexperienced and/or who isn’t willing to put in the time. That’s why we recommend going with an experienced name. New Concept Design is in our 20th year in business and there’s a reason for that. We deliver on our promises! Examine a web design company’s own site. See if it’s something you could see yourself adopting. Does it load fast, is it mobile-friendly, and is it secure – surprisingly, you’ll find not every web designer’s site is. If you don’t like the look of an agency’s own website, chances are you won’t be impressed by the product they provide you. A web design company should have their services listed clear on their front page. This may include SEO, digital marketing, eCommerce, social media marketing, and other specialties. If you want to get seen by customers and maximize your dollar investment, you want to know you’re working with a company who has the knowledge to get you to where you need to go. It’s great if you can find a portfolio of different sites a web designer has worked on. This way, there’s opportunity to compare different examples and you get a good, thorough look at what they can do. If you see you don’t like any of the sites in their portfolio, that London, Ontario web design agency might not be the right one for you. Finding creative solutions that work best for our clients’ target audience is what we do best. When you partner with New Concept Design, you don’t need to wait weeks for us to get started. After speaking with us in consultation, we can get you set up with a digital marketing strategy and web design services in no time. If you have to wait for an agency to “find time”, this is indicative that you’re not a priority for them and that’s not the kind of people you want to surround yourself with. Not everyone’s up to date with the latest web technologies. Many web designers out there continue to use strategies relevant over a decade ago. Ideally, you want someone who works with the latest and most relevant strategies. That way, you know they’re experienced with today’s algorithms, today’s social media, and today’s web design standards – not yesterday’s. Some web design services in London only focus in on the web design aspect. Then, there are others who go way beyond, specializing in digital marketing, social media marketing services, and more. Depending on what you need for your business, always be sure to connect with a company that’s not out of their depth on anything you need. For example New Concept Design can also work on your print design needs, branding and also printing your materials. Unless you’re a small business with only a few site pages to handle, having a team of designers and developers to help build out your site is never a bad idea. A team brings multiple skill sets to the table, ensuring you receive the absolute best the company has to offer. If you’re looking to substantially enhance your website’s look and online reputation, a team can have many benefits! Contact New Concept Design to speak with a representative today to get started on your journey towards online success.